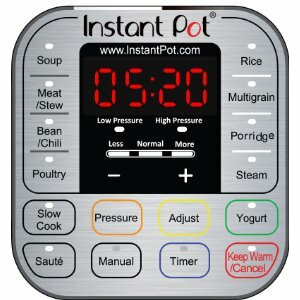 What is Instant Pot? 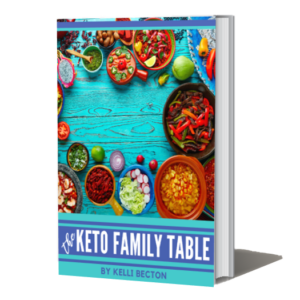 15 Recipes and an Instant Pot giveaway! Instant Pot can change your life. It’s a great way to bring families back to the table – even when the schedule is busy. We love Instant Pot! What exactly is it? IP-DUO series is a smart electric pressure cooker. 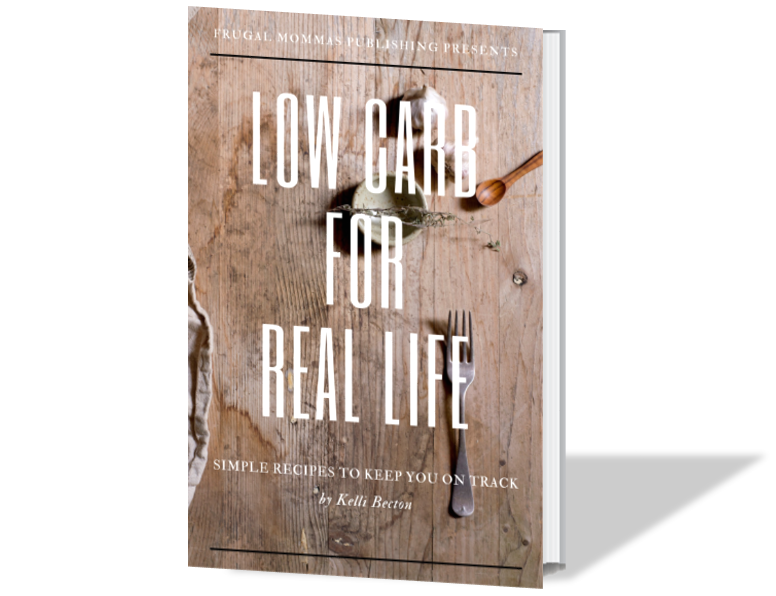 It’s Safe, Convenient and Dependable, created for fast-paced, healthy, family lifestyles. Instant Pot may just become your new best friend. The Instant Pot is easy to use and allows you to customize programming with the touch of a button. This is not your mother’s pressure cooker! It’s safe (see user manual), and easy to use. Unlike other fast-cooking methods, Instant Pot retains healthy properties of your food. It’s a 7-in-1 Multi-functional cooker: pressure cooker, slow cooker, rice cooker, saute, browning, yogurt maker, steamer, and warmer. What is Instant Pot and Why is it Better? How often do you mean to get dinner on the table, but you forget to pull out the right food or are left with no time to prepare? Cooking with the Instant Pot (high pressure) reduces cooking time by up to 70%. This translates to more home-cooked, healthy meals that can be prepared in time to bring back family dinner. Moms with families on the go love using Instant Pot! Even on busy weeknights, you can save money by cooking at home. With the Instant Pot, you have time for meal prep. Making dinner is healthier, and much more frugal than getting it on the go. We think everyone should have an Instant Pot. It’s the latest craze for good reason. We’ve partnered with blogger friends to give away one of these beauties. 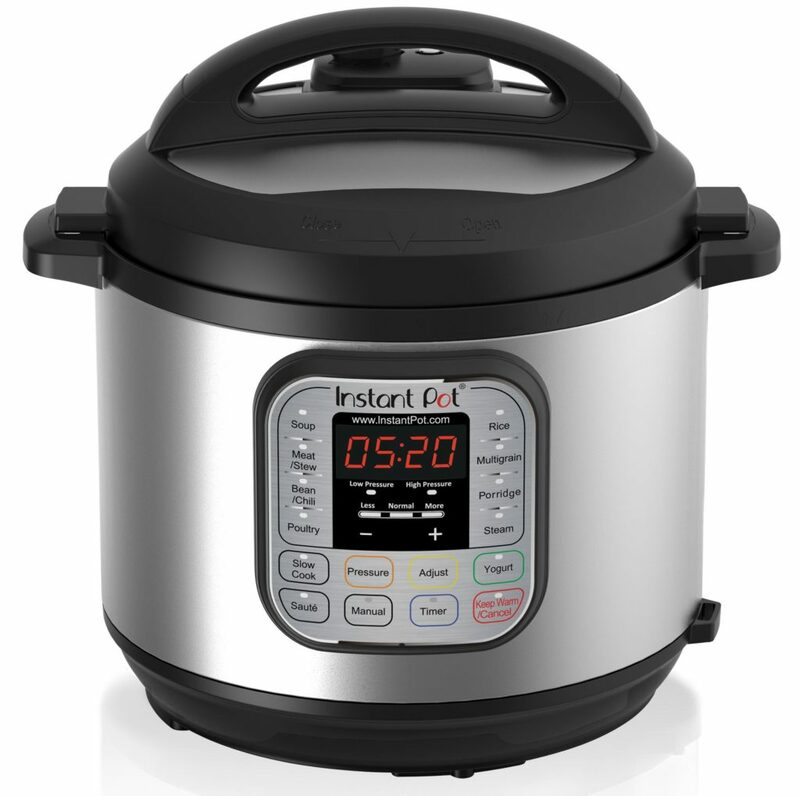 Total value is $159.99 for this 8 quart Instant Pot! They are currently on SALE here. 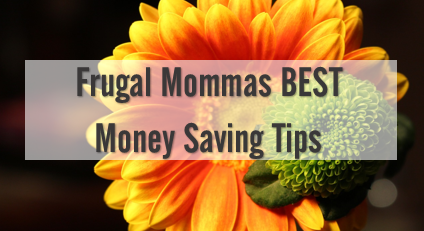 Sponsors: Frugal Mommas, Adventure Homeschool, Ben and Me, Blessed Beyond A Doubt, Encouraging Moms at Home, Sidetracked Sarah, The Modest Mom Blog, The Place For Busy Moms. Disclosure: *By entering the giveaway, you acknowledge and consent to allowing the sponsoring companies (as listed) to contact you via email/newsletter. If at any time AFTER the giveaway has ended, you feel the newsletters you receive are not of value for your family – simply use the ‘unsubscribe’ button at the bottom of the email. We never SPAM, and will not share your information with others. Must be 18 or older. Legal USA residents only. See full legal disclosure in Rafflecopter. Enter with ONE option – or use them all! I am bad about going to start dinner in the mornings, but I often forget until later and it ends up not being done at dinner time. 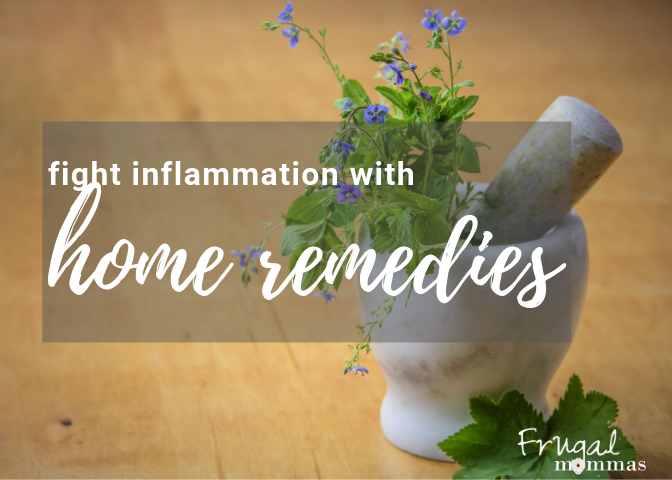 Therefore, and instant pot would help so much! Thank you for doing this giveaway. Large homeschooling family, could not afford this on my own, to win would be a huge blessing! Thanks for the opportunity! I’m not sure why all the comments look squished together. Working to fix the layout. Sorry for any trouble, but at least I can read them from the inside of the blog. Thank you for entering! 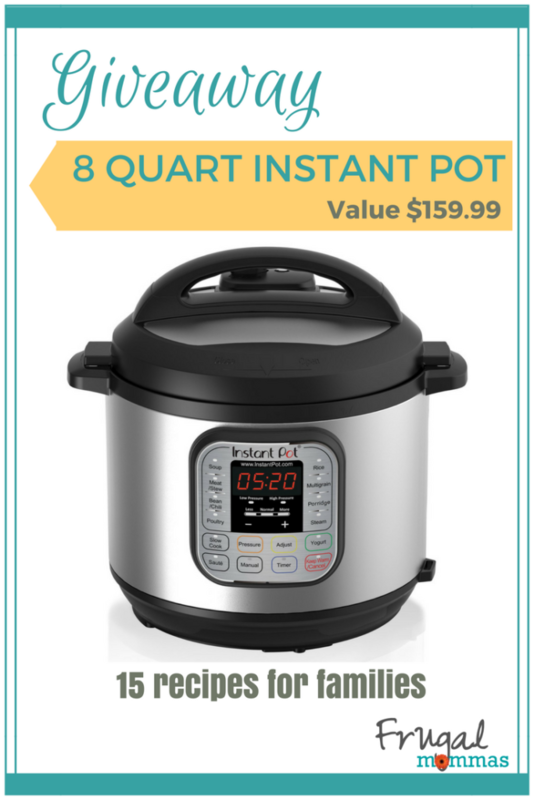 I am new to the instant pot community and would love to win one! So many things you can do in it! I have a 6 quart IP that I got for Christmas–still haven’t had time to acquaint myself with it yet! But I am super excited about using it and about how much time it is going to save me on meal planning/prep. I’ve lived by my crock pot(s) in the past, and I love the idea of having something that will cook fast instead of just slow! I would love an 8 quart IP because after getting my 6 quart, I have realized there are a lot of my recipes that are just too large to make in a 6. Super excited about the giveaway! Thank you for the opportunity! The InstaPot will be a huge help for this mom. Being able to get healthy, good meals on the table even if I forget to start something early. 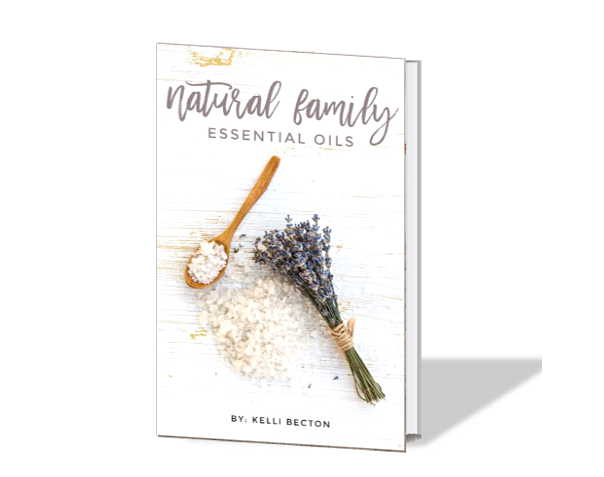 We have 4 girls that I homeschool and I am pregnant with our 5th baby. This would make dinner prep so much easier. This would be amazing! I’ve added bone broth to my diet, and the time savings of the instant pot can’t be beat!!! It would help me on busy days and keep us out of a restaurant. Our busy homeschooling family could really use this. My 4 boys & their dad our usually really hungry before it’s even supper time. I use a crock pot but not as often as I use to. I am so busy I forget to put something in the fridge to thaw. Plus sometime we really don’t know what we won’t to eat so this would come in handy from what I read about it. Thanks so much! I would love to get meals on the table faster. Like ribs! I’ve seen my friends post about how fast they can get dinner on the table and I would love to do that too!! This family of 14 could put this to super use! Me me ME!! Family of 10, so this would be the bomb-diggity!! Family dinner . . . Fast . . . Save money . . . Healthier! What’s not to love?! We’ve always wanted to try some pressure cooking, and now we could. As a mom of 9 I’ve always loved my Crock-Pot. An installer will be ten times more helpful and be one more practical thing to add to our homeschool home!